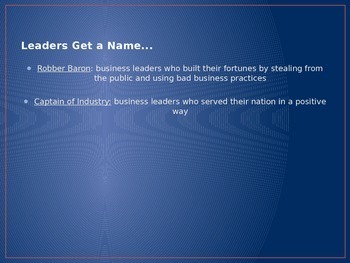 This PowerPoint will help your students to be able to understand key business leaders and concepts from the late 1800's. There is also a section which outlines a connection present day as well. 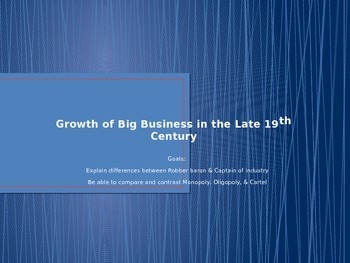 The notes portion is also titled Growth of Big Business.